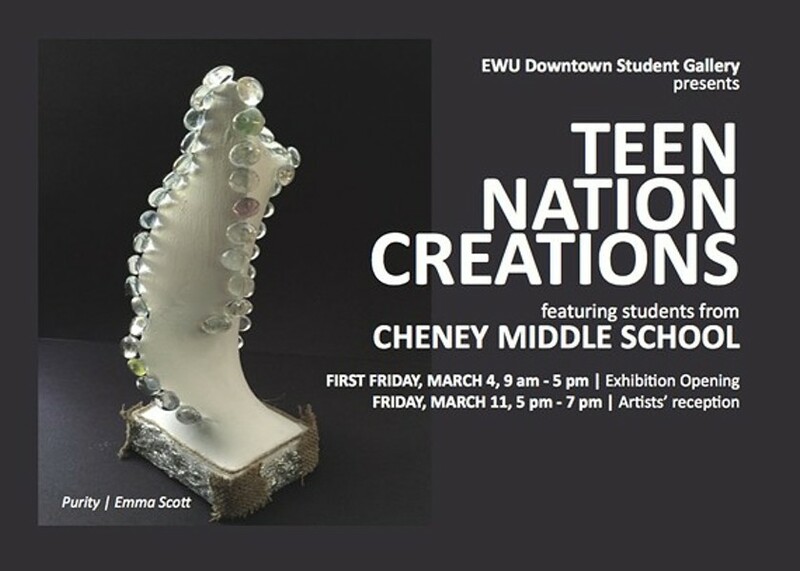 An exhibit featuring artwork by Cheney Middle School students, on display March 4-29. Various mediums such as sculptures, paintings, and prints will be on display. An artists' reception will be held on March 11. Gallery hours Tue, 2-5 pm; Wed, 11 am-4 pm; Thu, 1-5 pm; Fri, 9 am-5 pm.